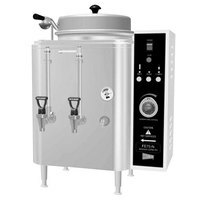 A hot tea dispenser is perfect for use in your high-volume foodservice establishment. 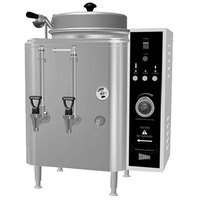 These machines can brew multiple gallons of fresh tea per hour, and they’re easy to use, as well. Simply add the appropriate amount of water and tea bags to your single- or multi- chamber hot tea urn, and it will do the rest! Keep these units stored back-of-house, or set them out at self-serve beverage stations so customers can help themselves. 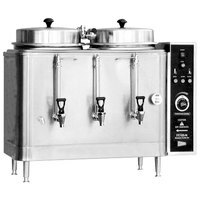 If you operate an Asian-inspired restaurant, banquet hall, buffet-style establishment, or cafeteria, a hot tea dispenser is a great solution for you. Each unit can brew, hold, and serve hot tea, which means you’ll only need one piece of equipment to complete three jobs! Best of all, these machines can keep brewed tea hot for hours at a time, so you’ll have plenty to last through a large meal rush!